You just knew it had to be these two panels, right? This couple came very close to making the list. But Batman’s sidekick will always be (one of the many iterations of) Robin. Bruce and Selena will never be together long or often enough to really qualify. These two co-host the Comics Therapy Podcast. If you haven’t heard it, you’re really missing out. Aaron and Andrea verbally spar and bounce off one another effortlessly (well, from my perspective, Andrea does have to put in a little more effort to keep Aaron in line – but they’re not the ones on the therapist’s couch here). They didn’t make the list because (as far as I know) they’ve never appeared on the printed page, but they are a terrific team-up and you should give their podcast a try. Two bachelors just living the high life. Spa day with your BFF is the best day ever. Amirite? I include them because… well, they’ve been on my mind a lot recently. They’re probably one of the longest running, largely unnoticed, duos in the Marvel Universe. 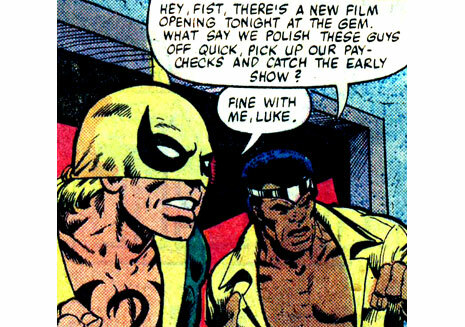 I’m surprised that, with the current publishers’ race to be more inclusive of all lifestyles, Marvel hasn’t attempted to make more of this relationship. The concept of a “manservant” is so dated as to be offensive. (Not that Doctor Strange never dropped any racially insensitive comments). Didn’t invite Wong to Thanksgiving because he wouldn’t “appreciate it”, right Doc? 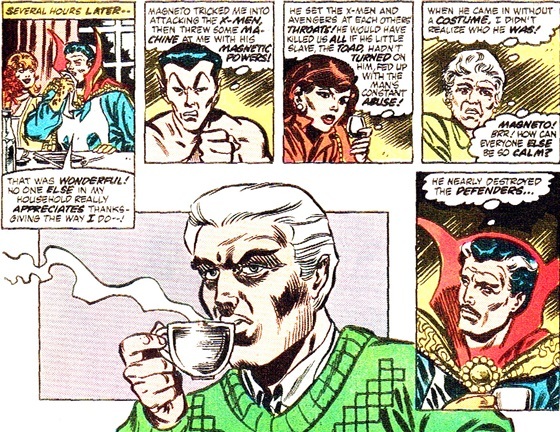 It would make a ton more sense if Doctor Strange and Wong were in a committed relationship – one works outside the home (as Sorcerer Supreme) and the other chooses to be the home maker in their relationship. Hey, my explanation actually makes a ton of sense and offers up a great solution to one of the more problematic relationships in the Marvel U – why would Wong stick around the Sanctum Sanctorum, clean up after this guy, make his meals, and entertain his guests? Sounds like most of the spouses of doctors that I know today. Their bro-namic dynamic is undeniable. 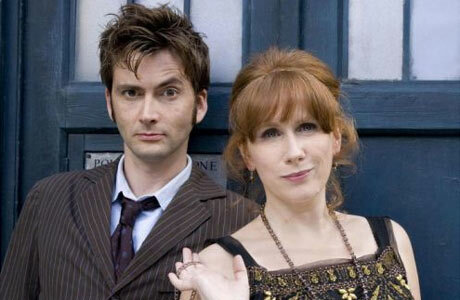 They are definitely near the top of any list of best duos that doesn’t have a Valentine’s Day undertone. More likely to be in a love triangle than to swap heart-shaped candy boxes. (And please no links to fanfic that might disprove that theory). So – onto the list of the BEST comic book duos of all time. Hawkeye’s had a bit of a resurgence, lately. Up until then, frankly, I thought the guy had WAY outkicked his coverage. A goofy archer who couldn’t really settle on a costume? Becoming leader of the West Coast Avengers always seemed like being sent down to the minor leagues. It wasn’t until the recent Matt Fraction Hawkeye run that I thought the Marvel gurus had any idea at all what to do with this guy. And now it’s evident just how much untapped potential Hawkeye has always had. 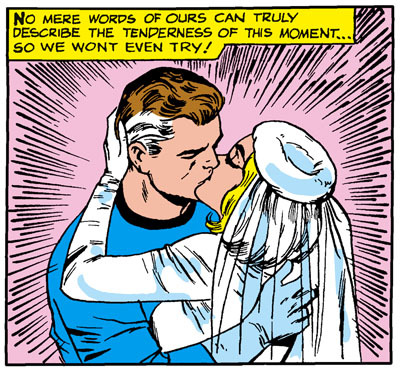 Mockingbird always seemed like the power member of the couple, even though she was still a D-lister, hero-wise. Maybe that’s the 15-year old boy I was still speaking, but I always thought she was way cooler than him. Or, maybe I was onto something. I didn’t even know she was “dead” in the Marvel Universe until they brought her back in Secret Invasion, and I instantly fell in love with this duo all over again. Got me… right in the feels. I never read a lot of DC comics in my youth. But every story I recall about Mister Miracle, Big Barda is there. They’re like the professional, dynamic couple. They show up, do a job (and do it well), and get home in time for dinner. I love these two. I don’t need to explain, do I? So good. Cloak and Dagger are the super-duo that immediately comes to mind when the topic arises. The perfect duo, in fact. Starting from their shared origin as outcast teens, they have a bond that few heroes share. The inter-related nature of their powers, creates a wrinkle in the nature of their partnership. No one else understands from the outset, and no team suits their dynamic. At the outset, Cloak‘s darkness drives a deep hunger that can only be fed by the light of the living. If Dagger doesn’t provide that light, he has to drain it from the guilty. It sounds like a lot of lame vampire fiction. But, it works because the reverse is also true. Without releasing her light power, Dagger could burn up. They literally need to be with one another. Already at an awkward age to navigate the boy/girl dynamic, their powers add a weird co-dependent factor to their relationship. I’ve always been fascinated by this duo and continually look forward to more from Tyrone and Tandy. 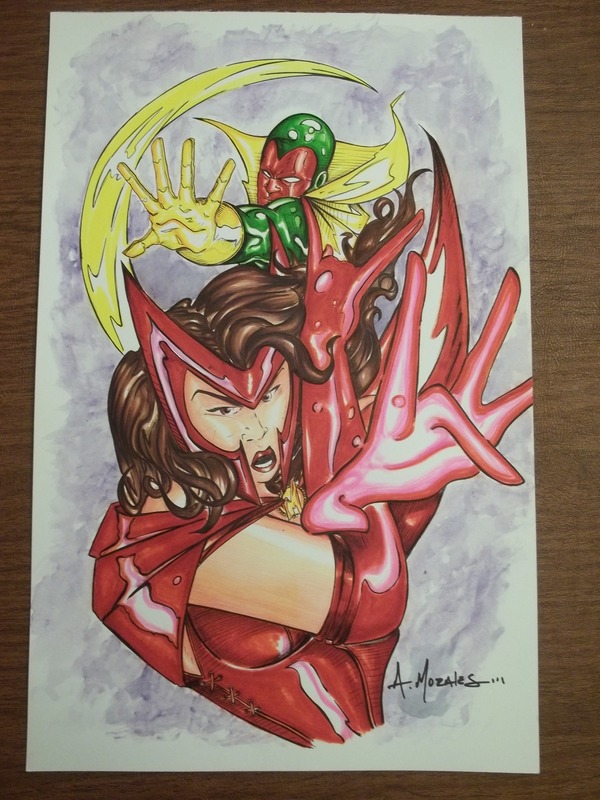 Posted on February 15, 2014, in Featured and tagged best comic book duos, best comic duos, best comic pairs of all time, cloak and dagger, comic book pairs, Marvel, Marvel Universe, top comic duos, Valentine’s Day, vision and scarlet witch. Bookmark the permalink. 2 Comments. 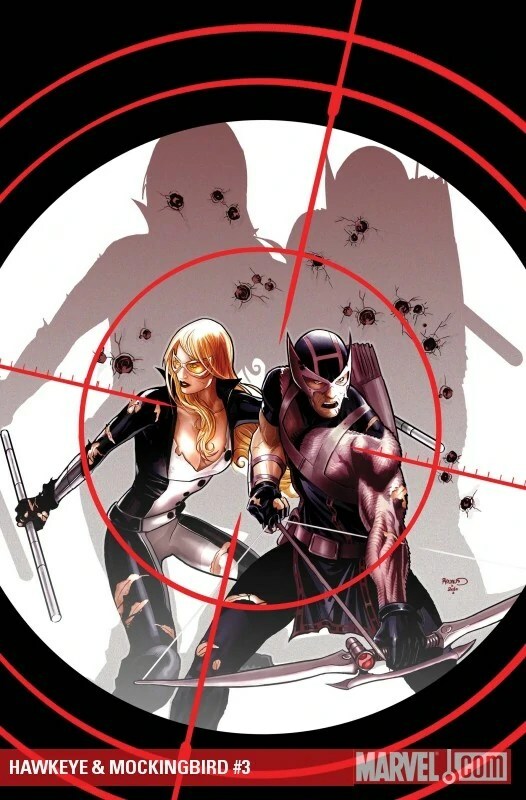 Mockingbird is too good for Hawkeye. In every way. Unfortunately, that marriage wound up hurting her character. At this point, Mockingbird isn’t allowed to be her own character. She’s always linked to Hawkeye. She can’t even be a spy on her own – she has to be on a team with her ex. 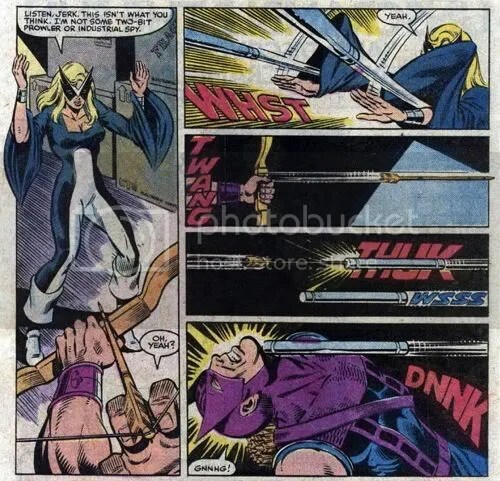 She needs to be in a book that Hawkeye’s not in, and she needs to be built back up as her own character, independent, totally separate from Hawkeye. Cloak and Dagger are awesome. I love those two. The Spider-Island Cloak and Dagger mini by Nick Spencer and Emma Rios was amazing, and I want Spencer and Rios to get a Cloak and Dagger ongoing. And I want the characters to get a movie or TV show – they’ve got a cool concept, and visually interesting powers that would be cheap to pull off. They’ve even got the will-they-or-won’t-they dynamic. I would add Hulkling and Wiccan of the Young Avengers. They’re a cute couple, and one hell of a power couple. Spider-Woman and the Hulk should totally get a team-up book by Kelly Sue DeConnick. She gave them this weird friendship in Avengers Assemble, and it’s a pairing I never knew I needed. Spider-Woman got the Hulk to make her a sandwich. That is one awesome. Al Ewing, in Mighty Avengers, has been making Power Man and White Tiger into quite the pair. I’m not sure if he’s moving them towards a romantic relationship – I’m guessing yes – but he’s given them a fantastic chemistry that lets them work together beautifully.